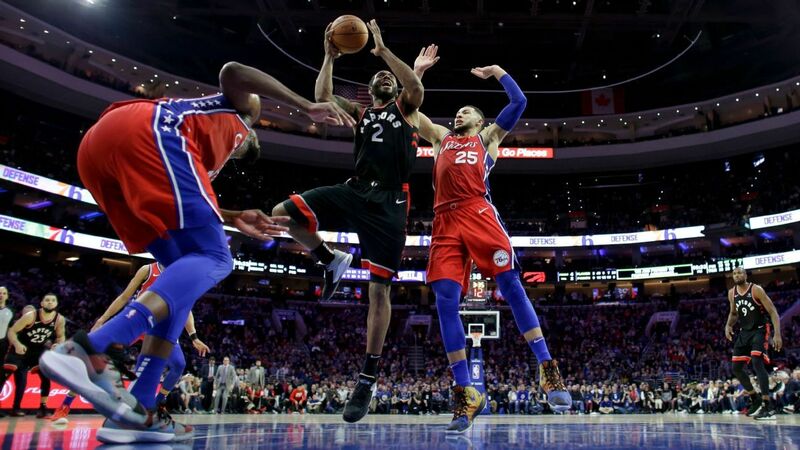 The long and complicated injury history of Philadelphia 76ers center Joel Embiid took yet another turn on Sunday, though it's not all bad news. Per Keith Pompey of the Philadelphia Inquirer, Embiid will sit out Tuesday's game against the Charlotte Hornets for load management. The All-Star center will be available for Wednesday's showdown against the Boston Celtics. Pompey noted it was Embiid's decision to sit against the Hornets. Most recently, Embiid missed eight games following the All-Star break because of knee tendinitis. Without him, the 76ers muddled through with a 4-4 record. Embiid's first game back from injury on March 10 showed how much he alters the 76ers' chances in the postseason. In the four games since Embiid returned, Philadelphia has gone 4-0. That record includes a 130-125 win over the Milwaukee Bucks on Sunday in which Embiid went off for 40 points and 15 rebounds. "We didn't change one thing schematically as far as the game plan went. I feel like the combination of some deflections getting to 3-point shooters helped us have an 11 point third period and a 19 point fourth period. That's a great defensive effort against a really good team. "Of course having Joel Embiid return certainly helps things. After giving up 108 points to the Bulls on Wednesday and then 109 points to the Rockets on Friday, Embiid made a huge difference on that end of the floor." Per Carlin, Brown admitted that he felt Embiid's absence most at the rim. However, any absence at all may be too much for the Sixers to absorb at this point in the season. With 12 games to go in the regular season, Philadelphia sits at third place in the Eastern Conference with a 45-25 record. Embiid has averaged a team-high 27.1 points and 13.6 rebounds so far this season.